After spending the last few episodes working as a team, in an effort to alter the future in a way that will save Iris’ life, this episode broke that teamwork up into splinters in the name of tension. While it is nice to see the plot make some forward momentum, it does become frustrating, because these people just can’t be honest with each other. It starts with Wally having visions of Savitar that only he can see — innocent enough — but it quickly escalates to Wally having battles with a foe that isn’t there. 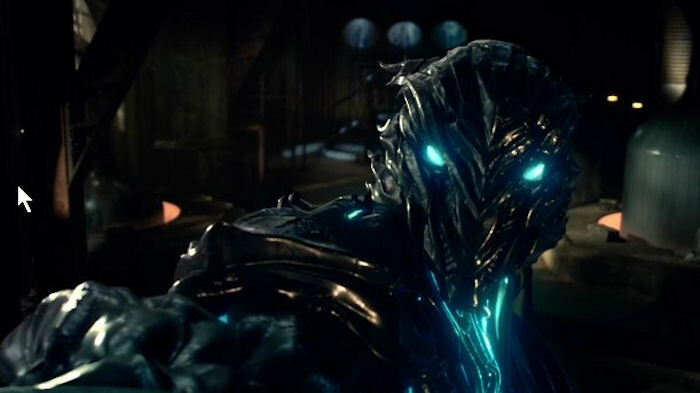 Once the secret is revealed, Barry overreacts and boots Wally off the team, since it’s clear that despite being imprisoned in the speed force, Savitar has some connection to Wally, since he got his power from the Philosopher’s Stone. Speaking of stones, Barry sure freely tosses them around for a guy with a deep secret of his own. See, Barry proposed to Iris as much as a way to change the future, as his love for her. Wally discovers this after he convinces Cisco to vibe him to the fateful night. Of course, this upsets Iris and Joe, who was already miffed his surrogate son didn’t ask permission to marry his foster sister, you know, the way polite hillbillies do. With his continued selfish behavior, maybe Savitar isn’t far off, he’s not the only one who thinks Barry has been a villain this season. The biggest secret/betrayal is reserved for Caitlin, who silently suffers while everyone wracks their brains trying to figure out how Savitar could access the Philosophers’ Stone, the key to getting free of the speed force (but assumed chucked into the pit of eternity and gone forever). As it turns out, in her desperation to rid herself of the powers that turns her into killer frost, she kept a flake of the stone, for research. In the end Savitar exerts further control over Wally’s mind. Wally tries to throw the last piece of the stone into the speed force, but gets sucked in as a replacement prisoner for Savitar, instead. Now, Savitar is on the loose, the team is in shambles again, and the show is mired back in its Mopiest Timeline, which now feels like the show’s default setting. Of course, the show is trying to set up the final showdown and a little “Who is Savitar” drama, but it’s all growing tedious, and not a good sign that it feels like we’re just counting down episodes until the cute musical episode in a couple of weeks.